Moving from a home we had lived in for 18 years to a townhouse (“down-sizing” is certainly the right word!) isn’t easy. After the moving sale, we still had too much furniture, including some priceless family pieces, and so-o-o-o much “stuff” to pack. It was overwhelming! 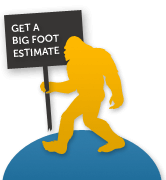 But Big Foot Moving arrived in the nick of time to provide invaluable advice and a superb job of packing: then they made the actual move look easy, even though I know it wasn’t, and they completed the job right on schedule. Not one dish or glass was broken, which was not the case with the mover we used for our last move! These “big feet” are the ones I’ll call any time I have to move in the future! Do you have furniture or other household items that you’d like to donate to charity? Here are several Massachusetts organizations that accept donations of furniture, clothing, toys and other household items. Salvation Army – The Salvation Army covers all of Massachusetts and accepts donations of clothing, furniture and other gently used items. Call 800-958-7825 to arrange for a pickup. St. Vincent de Paul – This organizations covers all of Massachusetts and can arrange to pickup unwanted furniture – Call 800-675-2882 to arrange for pickup. Epilepsy Foundation – This organization covers Eastern Massachusetts and can arrange to pickup gently used clothing and household items. Call 888-322-8209 to arrange for pickup. 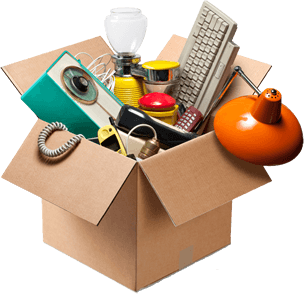 As you are aware, many people throw out a good deal of “stuff” when they move. Unfortunately a lot of this “stuff” is food that can be delivered to a family in need. That’s why Big Foot Moving & Storage, Inc.has teamed up with Move For Hunger to support the Arlington Food Pantry. Click here to learn more. BOOKS – Reading Tree – A non-profit that accepts all books. BUILDING SUPPLIES – Boston Building Resources – Will pick up building supplies like kitchen cabinets and appliances. Call 617-442-2262 x 232 for more information. TOYS & BABY ITEMS – Vietnam Vets of America – This organization serves all of Massachusetts and can pickup clothing, toys, baby items, bikes, tools and some household items. Call 800-775-8387 for more information. For other services that can pickup your unwanted items, please refer to this list maintained by Household Goods Recycling of Massachusetts.